Apple's second-generation iPhone SE will come with a rear glass panel that could enable it to support Qi-compatible wireless charging accessories, according to Indian tech website Tekz24. Speculation about a new version of Apple's small form factor smartphone originally began in August last year, when Focus Taiwan first claimed a new iPhone SE would ship in the first quarter of 2018. That report was accompanied by claims from Tekz24 that the "iPhone SE 2" will be powered by Apple's A10 Fusion chip, with 2GB of RAM, 32GB and 128GB storage capacities, a 12-megapixel rear camera, a five-megapixel front camera, and a slightly larger 1,700 mAh battery. 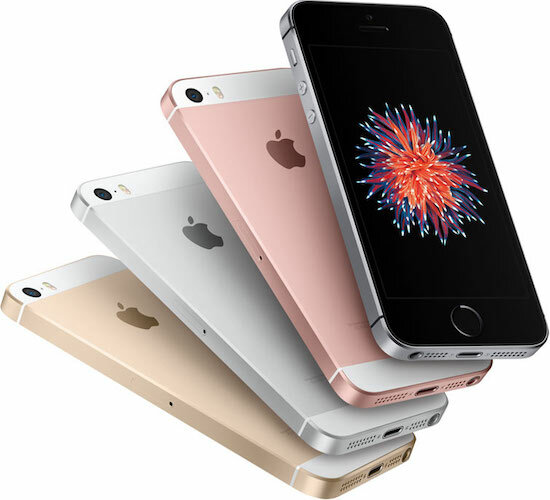 Three months later, China's Economic Daily News fueled speculation with a report that Apple will release a second-generation iPhone SE in the first half of 2018, to be assembled exclusively by Taiwanese manufacturer Wistron at its factory in Bengaluru, India, where some assembly of the current iPhone SE occurs. Lastly, earlier this month Taiwanese market research firm TrendForce predicted that Apple is planning to launch a second-generation iPhone SE in 2018 to target the mid-range smartphone market. Tekz24 – the source of today's glass back rumor – lacks an established track record of reporting on Apple rumors, so the above tech specs and today's claim remain completely unverified. However, given that Apple recently introduced support for wireless charging with the iPhone 8 and iPhone X series of devices, the possibility that it could bring its smaller four-inch smartphone model into the fold certainly isn't completely outlandish, especially with the company's AirPower wireless charging mat already confirmed for release sometime this year. Apple hasn't properly refreshed the iPhone SE since it launched back in March 2016, but it did double the available storage capacities to 64GB and 128GB in March 2017. Suggestions that Apple could tweak the design – perhaps giving it thinner bezels to make way for a larger screen – remain entirely in the unverified speculation department at this point. As for the rest of Apple's smartphone line-up in 2018, rumors suggest Apple will launch a new 5.8-inch iPhone X alongside a second OLED iPhone, this one measuring in at 6.5 inches, which means it can be thought of as an "iPhone X Plus". Alongside these two OLED iPhones, Apple is also said to be planning to introduce a 6.1-inch iPhone with an LCD display, positioned as a more affordable device targeting the low-end and mid-range markets, with a starting price of $649 to $749 in the United States. According to KGI Securities analyst Ming-Chi Kuo, all three of these iPhones will feature edge-to-edge displays, Face ID, and TrueDepth camera systems, which would likely signal the final nail in the coffin for both the Home button and the Touch ID fingerprint sensor in new iPhone models. Hopefully they don't ruin it by removing Touch ID and put in a notch. Right? Just like they ruined the market and removed VHS tapes and floppy disks from my computers. Join us in 2018. I’d rather a notch then ugly black bezels above. When tech is replaced by something better or more convenient your argument makes sense - I've seen plenty of examples of touch-ID being faster and more reliable than FaceID so perhaps it's not there yet? I'm guessing you don't own an iPhone X? And if you do, does the notch actually bug you when using it? By definition you don't have "mid end"... :D Mid-level, mid-range maybe. Just thought I'd clarify that, everyone loves the grammar police! 4" iPhone SE X that would be cute.